Apart from the wedding dress, the prom dress is the most iconic dress in American culture. The entirety of the high school experience is encapsulated in prom night. All the anxieties, joy and friendships come together to from an unforgettable event. 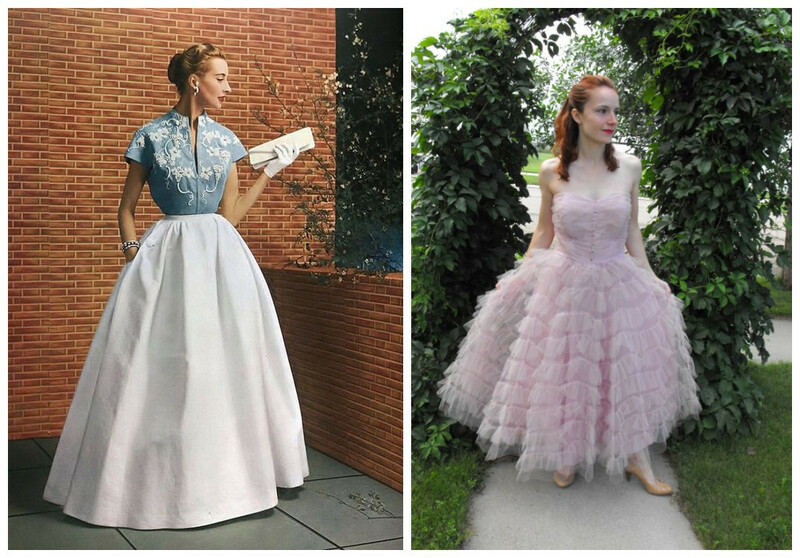 Prior to the 1950s, prom was a simple affair and the dress code was your "Sunday Best." After the post-war boom, it became so much more. 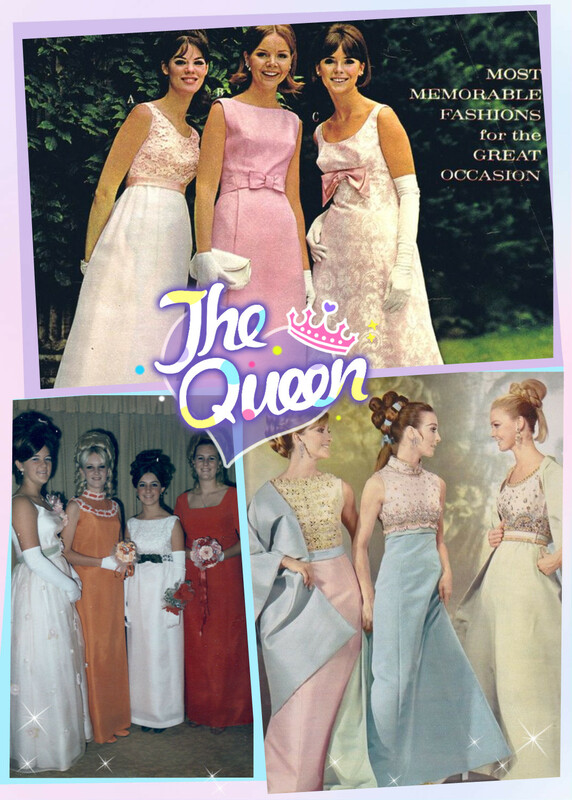 See how the prom dress was evolved throughout the decades! The term "teenager" did not exist prior to WWLL. Prom blossomed with the birth of this age group. These dresses resembled the frothy, massive, flowing growns of debutante balls, however they look on a youthful and engaging aesthetic. Skirts that went to knee level, as oppsed to floor level. Because of The beatles, the "mod" style from Britain was all the rage. 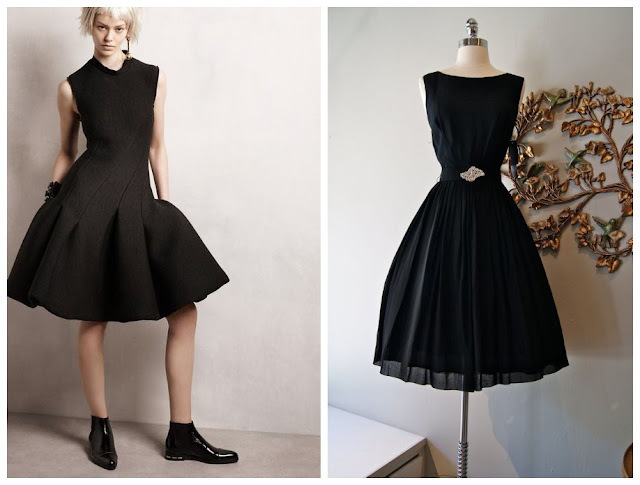 The 1960s focused on elegance and simple geometric design. The low necklines and miniskirts symbolized the rebellious coming of age in the latter harlf of the decade. More vintage knee length party dresses here. The flower child style became popular as an affront to the consumerism of the 50s and 60s. The 1970s were built out of rebellion, and it showed with the style of the times. 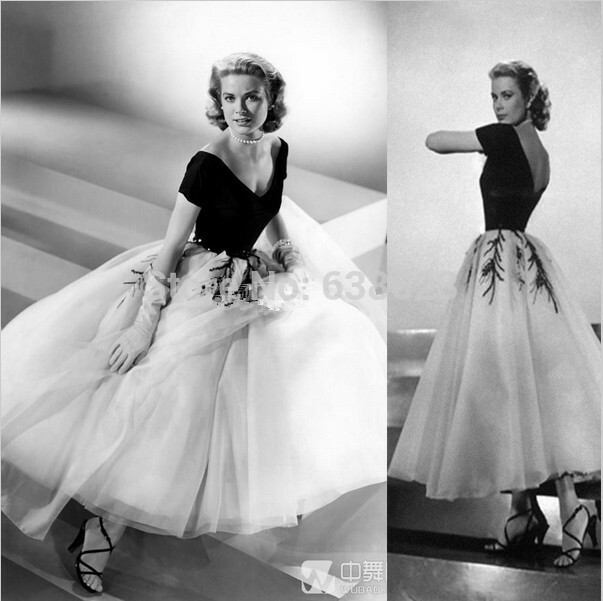 The traight and flowing dresses were direct statements against the showy dresses of their parents generation. Shoulder pads, tight and narrow waist. Prom reached the height of its fame, as a defining coming-of-age moment for a whole generation. 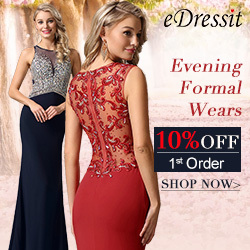 With pretty in pink and other John Hughes movies in prom was reborn as the quintessential "best night of your life" The bustling economy alowed for extravagant style as we as limousines to ride to the prom in style. High neckline with exposed hsoulders. Narrow waist slip dress inspired look. Halter and slip dresses made "heroin chic" a popular look. The designer boom in Europe heavily inspired the 90s A refined elegance was the trend of the times. 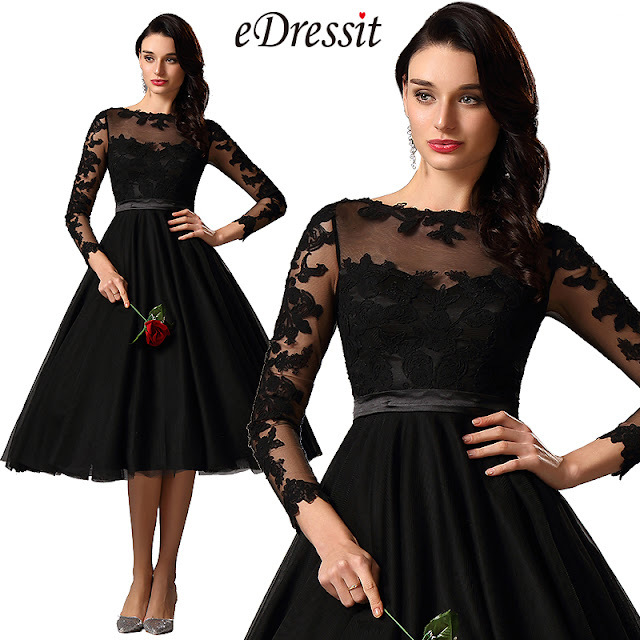 Solid colors and simple dresses were the foundation of this posh era. 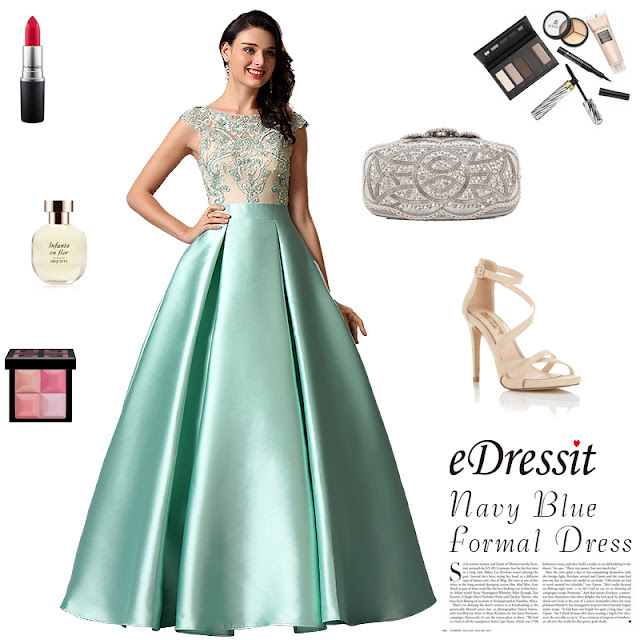 Shoulders open, flowing and graceful gowns, waistline follows a variety of trends. Teenagers showed rebellion through wearing converse or other sneekers to prom. 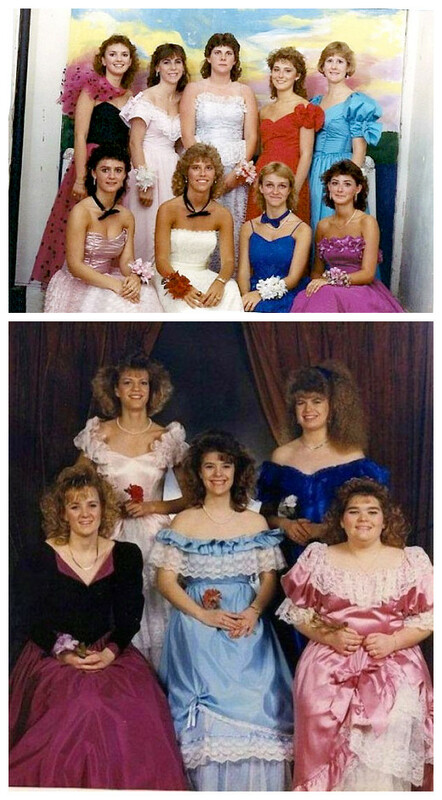 In the new millennium, prom dresses tend to follow the fashion trends of celebrities on the red carpet. in addition, the trends of the 60s-90s are beginning to blend and are all very popular for the current generation.